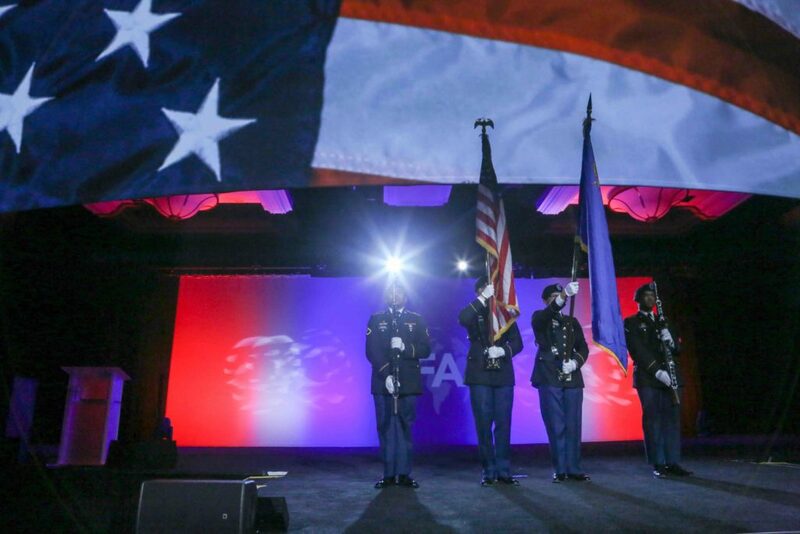 IFA’s 2019 Convention kicked off with a spectacular and patriotic tribute to our men and women in uniform, as a crowd of 4000 fell silent while the University of Nevada’s Color Guard presented the colors, the notes of the National Anthem booming through the hall. The message was clear in those first minutes of the Convention – this is a community that cares about veterans and doing right by the country. That same message, beautifully captured by the symbols of that moment, remained on display through three days of substantive committee meetings, panels and seminars, as the IFA Foundation’s VetFran program unveiled ambitious new initiatives. While VetFran has been around since 1991, the program continues to grow and innovate, and in the run up to its 30th anniversary, this growth and innovation is picking up pace. The program unveiled a brand-new website (www.vetfran.org), which starting in April, will feature interactive member areas for franchisors and their veteran franchisees alike, putting veteran small business owners at the forefront of the program for the first time. The Convention also saw the launch of a brand-new initiative aimed at military caregivers, a 5.5 million-strong community of primarily spouses who are the hidden heroes of the veteran’s ecosystem. Led by a 20+ company coalition of home care franchises committed to veterans, VetFran is partnering with the Elizabeth Dole Foundation to build bridges of employment, mentorship, training and entrepreneurial opportunities between the military caregiver and franchise communities. 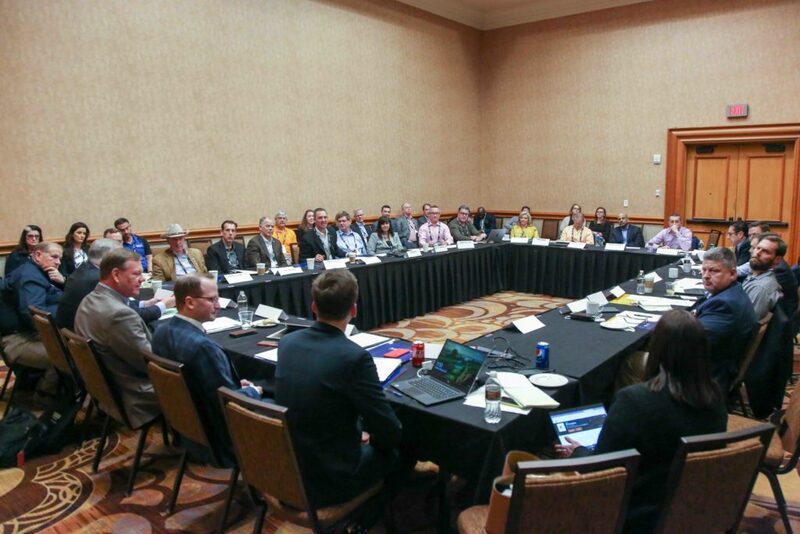 Branching out beyond its customary single educational session at Convention, VetFran was proud to present two original sessions focusing on areas we don’t often cover – veteran hiring at a national level and making your corporate culture veteran-optimized. The national hiring seminar featured Mike McDermott, an advisor to Blackstone and the architect of its wildly successful national veterans hiring initiative. Mike’s slides, packed with resources and actionable tips, may have been the most photographed thing on stage all Convention! VetFran ended the Convention on a high note, with an executive panel on corporate culture featuring an all-star lineup of experts. 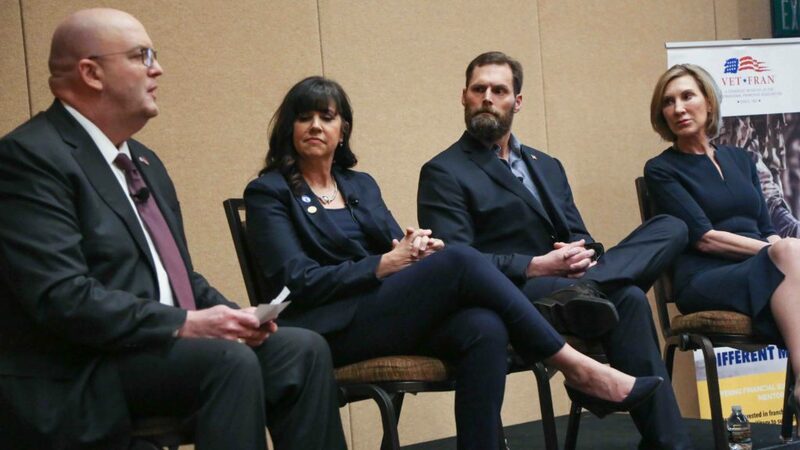 Moderated by Marine Corps veteran and The UPS Store CEO Tim Davis, the panel featured IFA’s VIP speaker Carly Fiorina, whose expertise on leadership and work with veterans first drew her to the IFA Convention. Her fellow panelists, both veterans and VetFran committee members, were Mary Thompson, Neighborly’s COO, and former Navy SEAL Monty Heath of PrimePay. The venue was packed, the audience abuzz with questions, and the panelists shared some real first hand insights on how companies can foster the leadership potential veterans and help them rise to the top. If you missed our programming this year, don’t worry – VetFran will be back in full force at Convention 2020, and is offering a wide array of opportunities for you and your company throughout 2019. Contact us at vetfran@franchise.org to learn how you, your brand and your veteran franchisees can get involved!